The two established giants were both on the losing end of upsets. 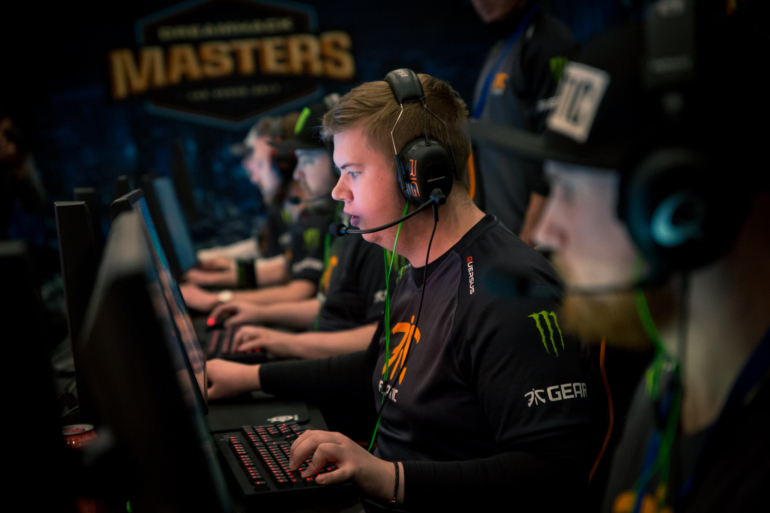 Fnatic, playing with Jesper “JW” Wecksell and Robin “flusha” Rönnquist having returned to the lineup after a period with GODSENT, had looked unstoppable in the online qualifier for IEM Katowice. But offline at DreamHack Masters Las Vegas it was a different story. In a rematch of their ELEAGUE Major quarterfinal meeting, Gambit Esports got a measure of revenge on the Swedish legends in only the second game played yesterday on the newly-returned Inferno. Gambit enjoyed a quick start, going out to a 7-1 lead—a lead from which they never faltered. Every time Fnatic were able to start to peg them back Gambit managed to stay ahead en route to a 16-8 victory. Mikhail “Dosia” Stolyarov and captain Danylo “Zeus” Teslenko propelled the team to victory with 22 kills each. The score may have been an upset, but Gambit Esports looked incredibly dangerous as a side on the rise at the ELEAGUE Major and could be a dark horse for a deep run here. Natus Vincere also suffered an upset loss, as they fell to a Mousesports side playing with star Nikola “NiKo” Kovac for the final time before the player joins FaZe Clan. NiKo did not disappoint, posting 37 kills and over 124 average damage per round. With the rest of the players relatively even in scoring, NiKo’s indisputable quality was the difference maker—one that Mouse will have to watch from a distance after Vegas. With OpTic picking up a win over North earlier in the day, Cloud9 also got North America off to a good start with a narrow 16-14 win against Ninjas in Pyjamas. NiP won the first five rounds of the match, but Cloud9 were able to take back control to be 9-6 ahead at the half and never let the Ninjas regain the momentum. FaZe Clan narrowly avoided an upset against Australian side Renegades in a 16-14 victory, as the Australians staged a comeback attempt from 11-4 down that threatened to be the biggest upset of the day. There were wins elsewhere for Astralis, SK Gaming, and Virtus Pro, defeating CompLexity Tyloo, and Misfits respectively. Day two resumes at noon central with the next round of group play, including another meeting in the storied rivalry between OpTic Gaming and Astralis.